Here is a list of 3 free Super Mario games to download on PC and play for free. The list consists of Mario Forever, Mari0, and Super Mario War. This list of free Super Mario games is particularly for Mario fans. Mario is a popular and famous arcade action game designed in the 80’s by Nintendo Games. It is still the most played game by many users. Mario is basically a plumber who is on a mission to rescue the princess Peach from a deadly dragon’s castle. He has to cross several stages and confront different kinds of monsters, flying ducks, and weird objects on his way. So, you take the role of Mario and rescue the beautiful princess by crossing all these stages. Mario versions are modified by various other developers; as Mario game is the same from when it was designed. So, these versions which we are going to see are also different interesting versions of free Super Mario games. Mario forever is same as the original version with little modifications in the gameplay. 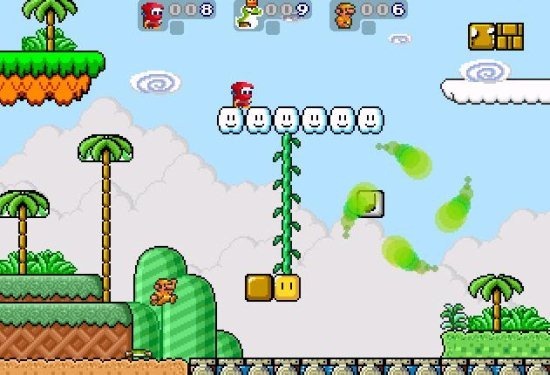 Have fun with this new advanced version of Super Mario. Download and play this Mario game on your Windows PC. Mario forever is similar to original Super Mario rather than the other two free Super Mario games; which we will discuss below. In this you will be assisted with controls, there are checkpoints, and save option is also available. You can play this in window mode or full screen mode. The story and mission is same, you have to rescue the princess from the dragon Koopa. The number of stages and way of scoring is also the same. The graphics are very good and sound effects are a little different compared to the old original version. Click here to read more about Mario Forever and click here to Download Mario Forever. 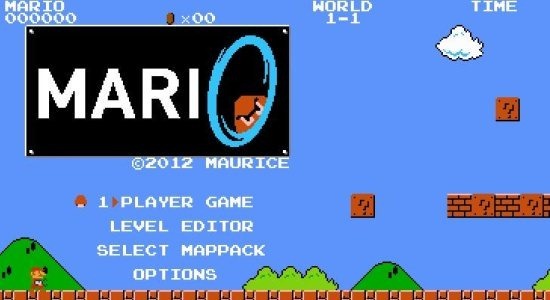 Mari0 is Super Mario character with portal gun in his hand. 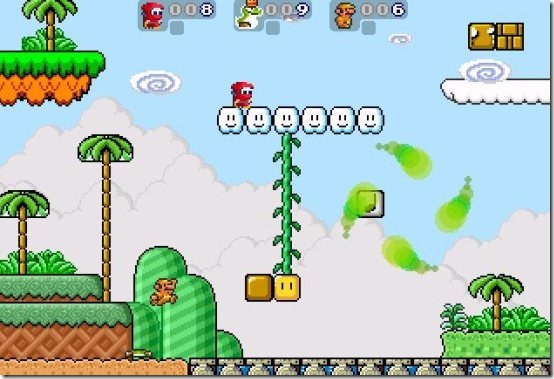 Download and play this different version of Super Mario on your Windows, Mac or Linux. “Mari0” is basically Mario with number zero instead of letter O. 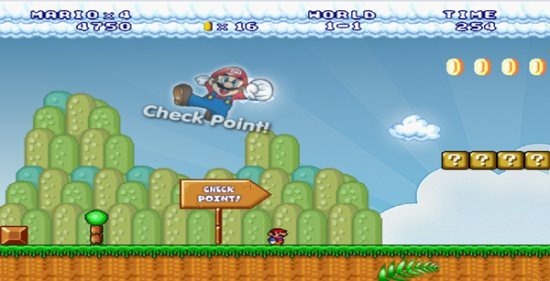 In this game Mario has a super power that is: he can port himself to any location he wants or he can port the enemies also. Only change is instead of bullets he has a portal gun. He can just stomp his enemies or escape with portal power. You can modify the Mario character’s hair color, cap, etc. ; and there are cheats modes also available. In this game you can create your own map also with the level editor option available. The graphics and sound effects are same like old one but with a different theme. So, play this version of Mario with the latest technology gadget. Click here to read about Mari0 and Click here to download Mari0. Super Mario War is a multiplayer mode of Super Mario. Download and play this multiplayer version of Mario for free on your Windows PC. Super Mario War is nothing related to the original Mario version. You just have to stomp other players to win this game in several maps available. You can play with three other friends on same computer or else play with the computer players. You can edit various settings of the game, choose from different maps, and different modes also. You just have to survive in the arena and score for winning the game. This game has a simple motto: Stomp others and avoid being stomped. In this game also you can edit maps and design new maps. Click here to read about Super Mario War and click here to Download Super Mario War. These free Super Mario games are fun to play and a feast for Mario fans. I found many versions of Mario but I found these three most interesting and in working condition. Let us know if there are any other interesting versions of Mario in the comments section below. Have fun playing Mario and relive those old memories of TV video gaming world. And if Mario is not your thing, how about some Contra games?